Maria Ryan and Lucia McPartlin. 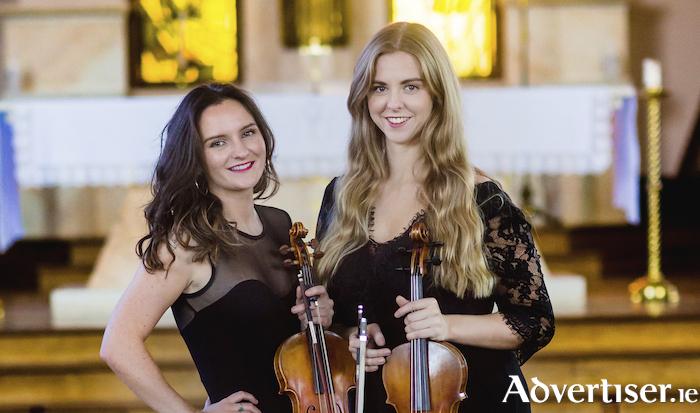 MARIA RYAN and Lucia McPartlin of contemporary Irish music ensemble Strung will play at the first concert of the new season of 3 Saturdays: 3 Kinds of Music at The Mick Lally Theatre. The series, organised by the Galway Music Residency, and curated by Matthew Berrill, is on Saturday February 16 at 11am, and will feature classical, contemporary, and Irish trad from Ryan and McPartlin; singer/guitarist Niamh Regan, who has been compared to Laura Marling; and the ConTempo Quartet, performing Swan Hennessy’s String Quartet No3 Troisième Quatuor à cordes. Admission is free, but space is limited and early booking is advised. The shows are family friendly. Donations welcome. For more information see www.thegalwaymusicresidency.ie or call 091 - 586706.